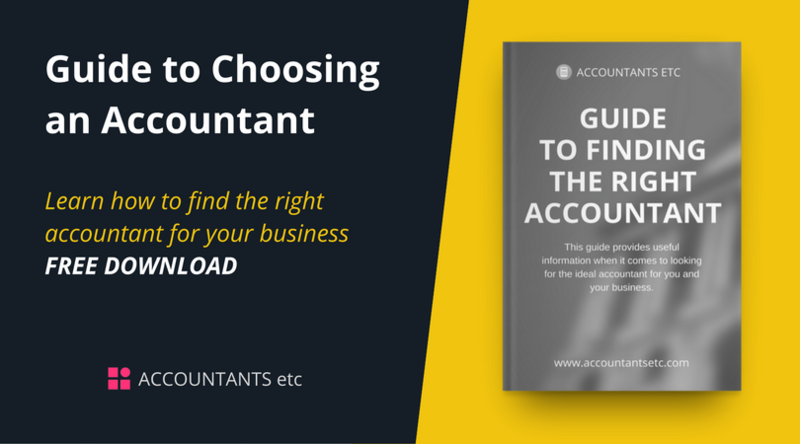 The guide below provides useful information when it comes to looking for the ideal accountant for you and your business. 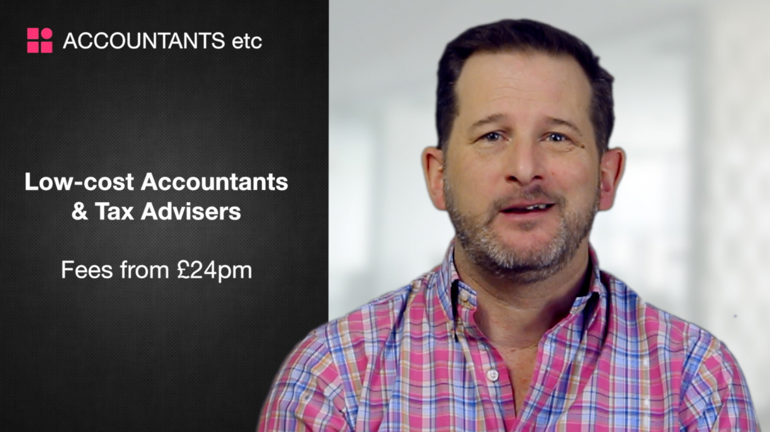 Choosing an accountant may not be as straightforward as you might think. The British economy is made up of many different types of businesses, and technology can make the more routine accounting tasks rather easier. The accountancy profession has had to move with the time and, as a result, has changed enormously in recent years. Accountancy practices set up to serve large businesses, charities or public sector bodies offer a very different range of services to those that specialise in working with contractors and freelancers and small businesses. You will also find some big differences in what they offer, the levels of service they offer and what they charge. Accountants etc. is here to help you and here we offer you some guidance and advice when it comes to looking for the ideal accountant for you and your business. When you’re running your own business, it pays to spend as much time as you can doing – or developing – work that will earn you money. Unless you are an accountant, you will surely discover that, beyond day-to-day bookkeeping, the accounting your business requires calls for expertise you don’t have and will take up time that you can ill-afford. This is where a professional accountancy service such as Accountants etc. can really help you. Accountants like us who understand the nature of your work and the specific challenges you face as a freelancer, contractor or small business can increase your take-home pay by ensuring you are working in the most tax efficient way. Their job (and ours) is to be as skilled and knowledgeable about tax, accounting, and related disciplines as you are in your field. Unfortunately, tax legislation changes regularly and a good accountant will, at the very least, help you comply with new laws. Your accountant will tell you what type of expenses you can legally claim for tax purposes, how to finance your car and the tax implications of employing your spouse or other people. Typical services provided by accountants include advising on your legal structure, setting up your limited company and helping you to prepare and submit your company’s annual statutory accounts, corporation tax, VAT and self-assessment tax returns. Many also provide payroll services and limited company registered address services. A major benefit of using an accountancy service is that you will, if asked, be able to provide an accountant’s reference. This is a letter from your accountant that verifies details about your business such as its financial footing, how long it has been established and the income you earn from it. You may need an accountant’s reference if you want to apply for a mortgage or a property let. Some potential clients may also ask for an accountant’s reference. With an accountant on board you will reduce the chance of errors on your tax returns. Ignorance is no defence when it comes to dealings with HMRC and Companies House, so knowing your returns have been dealt with by a professional will give you peace of mind. This will also reduce the risk if you are being investigated by HMRC. If this does happen, it will help to have an accountant on your side who knows your business. They can prepare your figures for you in the format that a tax inspector will expect to find them in. They will also anticipate the sort of questions you may be asked and can help you to prepare any additional information about your business. Accountancy firms and the work that they do vary enormously. With tax legislation becoming ever more complex and complicated, more and more businesses and individual practitioners are now choosing to specialise. Big accountancy firms with blue-chip clients are not necessarily the right choice for a small businesses – and not just because of costs. Big clients need specialists in areas such as pension funds, employee benefits and the implications of trading in multiple tax jurisdictions. Freelancers, contractors and small businesses will require advice on things such as business structure, the most tax efficient way to pay themselves, employing staff, and claimable business expenses. High street accountants are local practices that usually offer general accountancy services to customers based within their own area, and their clientele is usually a wide mix of small to medium-size businesses, freelancers and contractors. Some incorporate universal online bookkeeping software that clients can log into and use, while some still work manually. Their services typically include bookkeeping, year-end accounts, tax returns, VAT returns corporation tax and payroll services. Online accountancy services are the latest and most cost-effective way for businesses to manage their finances and tax affairs. Accountancy software allows businesses to automate tasks to improve speed of efficiency. Most online accountancy services use proprietary software to differentiate their offering and streamline their services to the specific needs of their target market. Many also provide mobile apps to enhance their service and offer greater flexibility. Specialist online accountants can streamline their processes to allow them to offer services focusing on small businesses, which are an increasingly significant part of the UK economy, so they need professional advice specifically relevant to them. Online Or The High Street? It almost certainly going to be local, so face to face contact should be easy to arrange. You will have a good idea of the firm’s reputation and, of course, you can ask other local business people for references. The firm may offer some online services for basic day-to-day accounting. We all like continuity, but you may have to deal with different people for different aspects of your business, so the service you receive may not be seamless. Charging is another area where online and high street accountancy services can vary greatly. Some firms build into their fees the cost of advisory services that small businesses may never need. Others base their fees on the turnover or profit of individual clients - no matter how much work they have to do. It’s not uncommon for small businesses to be charged more than £2,000 a year on high street accountants. Most online accountancy services offer a range of services levels, allowing you to choose the package that best suits your budget and your accounting needs. They often charge a flat monthly fee, with the cost of any services not included in the package clearly detailed. This is generally more transparent than many high street services, allowing you to forecast your annual accounting fees with more confidence. At Accountants etc., the costs for our accounting services differ depending on the type of business you’re looking to operate, and are usually fixed monthly fees. The best time to make a decision about the type of accountancy support you need is when you first start your business. By getting your accountants on board at the outset, they will have the best possible understanding of your business and will be able to take care of administrative chores such as setting up your limited company and getting you registered for VAT. And you will be able to forecast your annual costs for the services you need. To help decide what accountancy services you need – and what package is the best package to go for if you choose an online provider – it will help to think about how your business will operate. You may feel sufficiently competent and confident to prepare and submit your quarterly VAT returns and your annual year end accounts yourself, so why would you pay someone else to do it? A simplified service level and lower cost would be right for you. However, most small businesses feel more comfortable – and free to build their company – by leaving most, if not all, of their tax and Companies House affairs in the hands of professional accountants. In this situation, a more comprehensive service level would be more suitable. This would also apply if you employ people and need help submitting RTI, HMRC’s system for paying your employees’ tax and National Insurance contributions. As with any professional service, you must be confident that your accountant understands your business and what you are trying to achieve with it. This means finding accountants who specialise in areas that are relevant to you - be it in terms of business expenses, options for VAT registration, directors’ responsibilities, or the benefits you will enjoy as a business owner. Don't forget to take you working hours into account. If raising invoices and filing receipts is something you do outside of normal working hours, you will probably find an online resource that you can access 24/7. How easy will it be for you to communicate with your accountant? Will you be given a dedicated accountant or will you end up speaking to somebody different every time you call? And will the clock be ticking every time you phone – or is telephone support included in the package? As a business owner, ensure that you make the right choice when choosing an accountant. First of all, you need to know that the services they offer will cover you. But you should also discover what other local businesses have to say about the accountancy firms you’re considering. Do the providers have testimonials from other clients on their websites - and are they genuine? Do they provide online resources and helpful advice? If they are active on social media (and in this day age, they should be), spend some time browsing through their Twitter, Facebook and LinkedIn feeds. This will give you an idea of how they engage with people exactly like you. Nobody knows better than your accountant how important costs are to your business. That’s why it is so important to define the precise support you will need, and then choose the provider who will best meet these needs with quality services at competitive prices. If you’re switching accountants, there won’t be too much you need to do yourself – apart from choosing your new provider. However, it’s important to tie up any loose ends with your outgoing provider first. Start by checking the small print of your contract. There may be clauses that govern the transfer of your business, such as a cancellation fees. When telling your outgoing accountant why you’re switching, be honest. It may be that your business has changed, meaning your needs are now different and that you have outgrown your existing accountant. If you are changing because you are not happy with the service you have received, try to be diplomatic and make sure that you fulfilled your side of the contract. Remember that you will need their cooperation to ensure a smooth handover of your accounts to your new provider. Make sure that you are up to date with all payments due to your outgoing accountant. If you owe them money, they may sit back and drag their feet or do nothing at all until it has been paid. This, in turn, could mean your changeover happens at an inconvenient time for you or your business. The best time to switch providers is during a quiet period in accounting terms. Switching at your year end may be the ideal time to do it. Make sure that you agree with your new and previous accountant who is going to do the work (preparing and submitting your statutory accounts and corperation tax returns) and how much it will cost. Consider the timing of switching carefully. There may be a cost involved if your new accountant needs to reproduce some of the work that has already done by your outgoing accoountant. When you have chosen your new accountant, inform your current accountant about the switch and ask for the transfer to take place. You won’t need to do anything other than sign a couple of forms. Your new accountant will send a Professional Clearance letter to your outgoing accountant. This advises the outgoing firm that it (the incoming provider) has been asked by you to take on your accounts. The letter asks if there are any reasons why your new provider should turn your business away. Your new accountant will also ask for a letter from you authorising the outgoing provider to release this information. If your outgoing accountant is chartered or certified, their professional code sets out the timescale for supplying this information. If not, they should still respond in a reasonable time. Your outgoing accountant is entitled to charge a fee for their part in the transfer, but this should not involve more than an hour’s administration work. As soon as your incoming provider has received all the information they have requested, you have successfully switched accountants. Your new provider will need you to complete a couple of forms. For example, to inform HMRC they are your new agent.